Kelly Butler, Aspen Pumps' new marketing director. Aspen Pumps has appointed Kelly Butler as group marketing director. A key appointment to the Aspen team, Butler has more than 20 years of marketing communications and product management experience within the built environment. 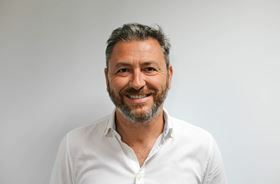 In his new position, Butler will head up Aspen Group’s marketing which includes overseeing the company’s continuous innovation; delivering multiple product solutions to customers across its core brands in the UK; ensuring well-defined customer messaging; as well as the day-to-day servicing of 100 export markets. Butler will also be reviewing Aspen’s digital strategy and building strong links with the innovation team and global sales force to ensure product development and overall offering are relevant to the ACR engineer.